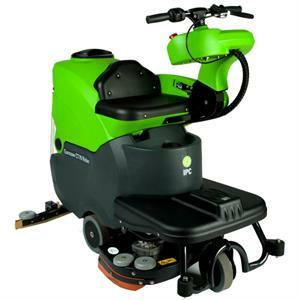 The CT70 Rider Scrubber is designed to work on small and medium surfaces easier and faster. It has all the advantages and the manouverability of a walk-behind machine, with the performance and comfort of a ride-on. The CT70 Rider is also equipt with a center axis system, in order to insure the perfect cleaning of external corners with a single pass unlike traditional rider machines.